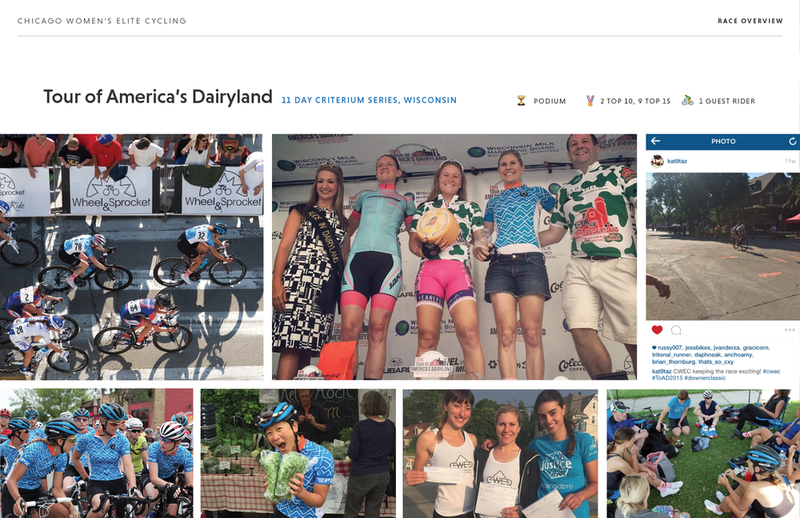 It’s been an extraordinary inaugural season for Chicago Women’s Elite Cycling. 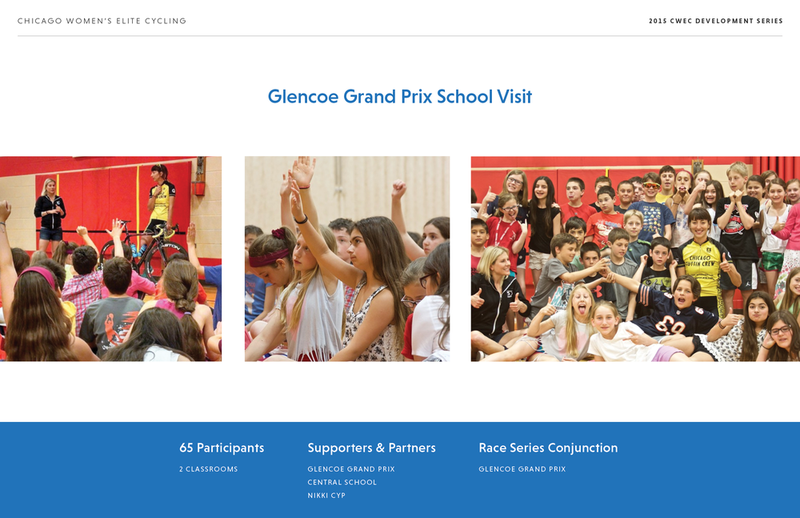 In addition to racing in 24 events and capturing 6 professional podium finishes, CWEC hosted 7 rider clinics with 145 participants including junior, beginner, intermediate, and professional women cyclists. Through our efforts, we’re deepening and growing Chicago women’s cycling with elite racing opportunities, development clinics, mentorship programs, open discussion forums, and much more. We truly couldn’t have done it without you—our friends, team supporters, and fellow Chicago athletes. Thanks to your generous financial and intellectual support, ongoing friendship and guidance, and your tireless personal involvement, we’ve accomplished a great deal in our first year. Much more work still remains. In 2016, we plan to expand our team of riders and investors, enlist in top national races, and continue to inspire young girls to become Chicago’s future elite cyclists. 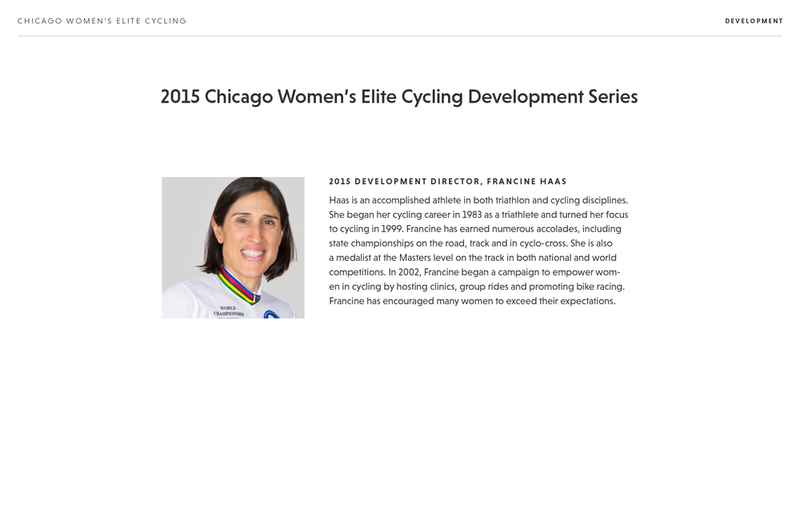 Interested in riding with Chicago Women's Elite Cycling in 2016? Check out the rider opportunities and let us know your interest. Join us tomorrow, Saturday, December 12th, for the Morning Bird Holiday party and CWEC fundraiser as we celebrate a great season and auction off some truly special gifts! Together we can insure that competitive women’s racing in Chicago continues to grow and thrive.